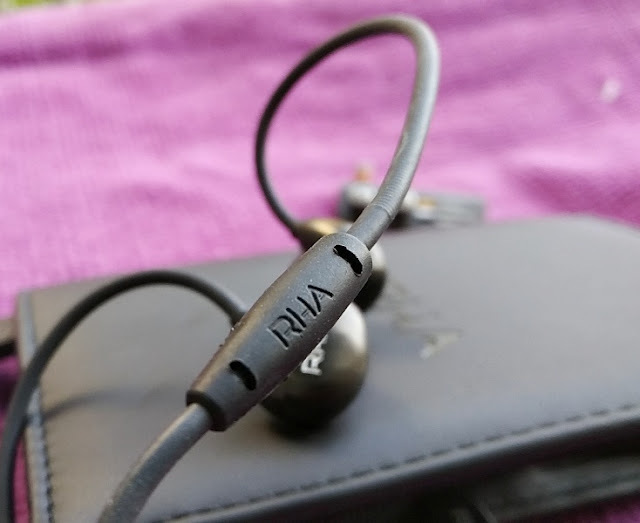 RHA T20i Stainless Steel Earphones with Customisable Tuning Filters! 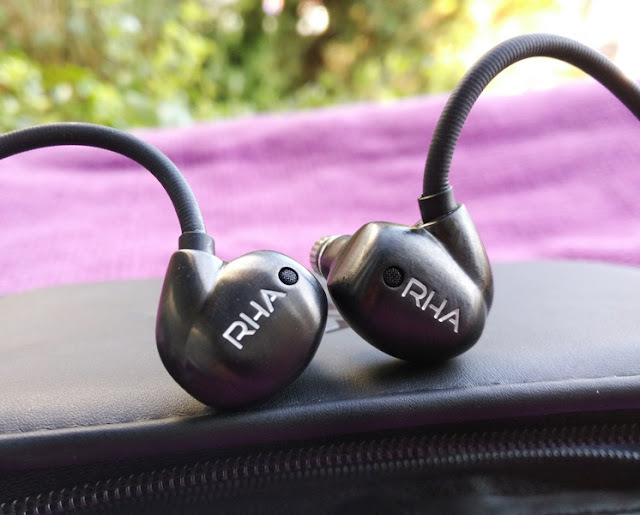 The RHA T20i are a rather unique set of in-ear headphones that will really peek the interest of Hi-Fi enthusiasts because of the T20i's stainless steel body construction and dual voice coil setup which is usually found in dual voice coil (DVC) subwoofers. 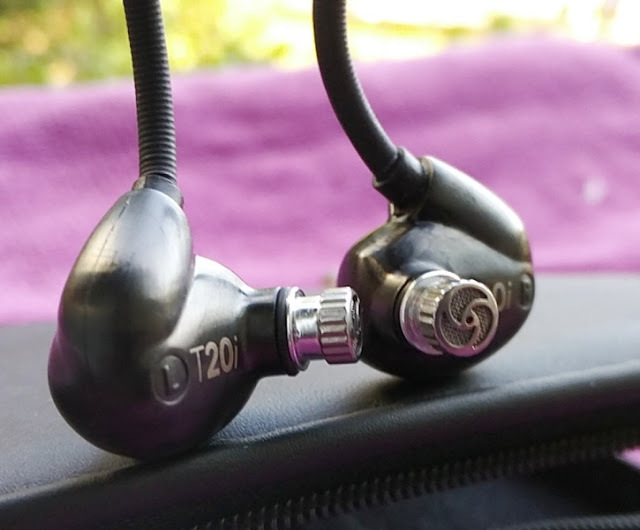 The T20i uses two voice coils contained within the diaphragm of the drivers which have a low impedance rating of 16 ohms and a maximum power rating of 2/5mW (maximum power the drivers can take before bursting). 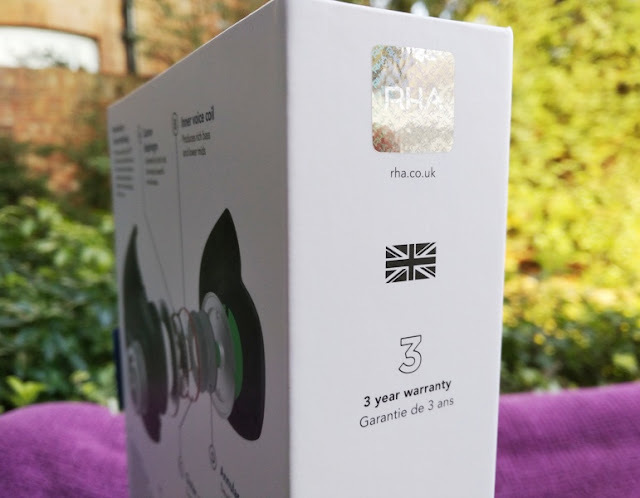 The RHA T20i 16 ohm rating mean they require little power to drive to their full high fidelity potential. 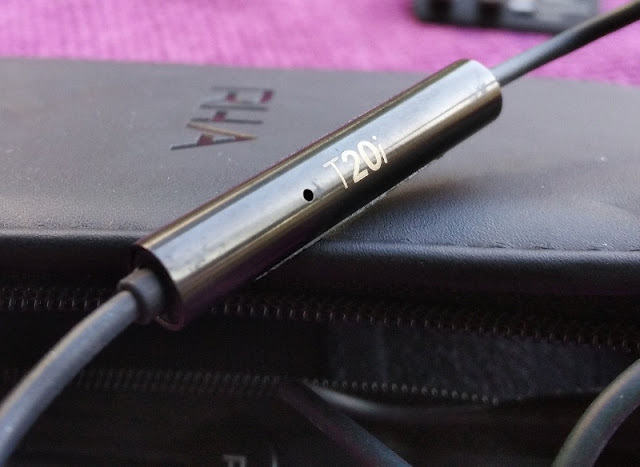 Plus, the T20i earphones have a 90dB high sensitivity output so the volume can be driven pretty loud, which is neat. 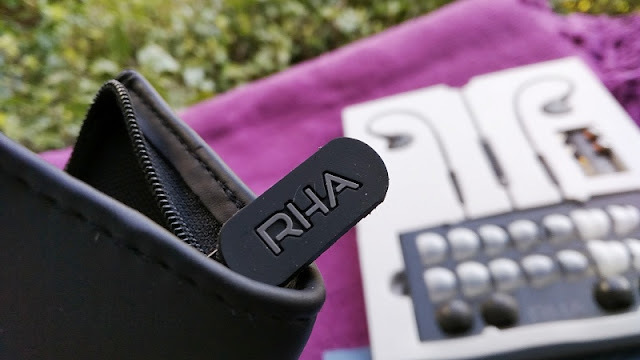 The RHA T20i headphones also have a peculiar frequency response that ranges between 16Hz (bass) and 40,000Hz (treble). 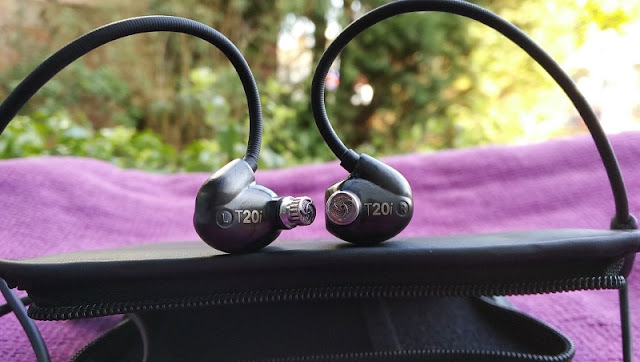 The T20i's treble frequency response is twice of standard headphones while the bass frequency is under 20Hz which is the standard bass frequency range for most earphones. 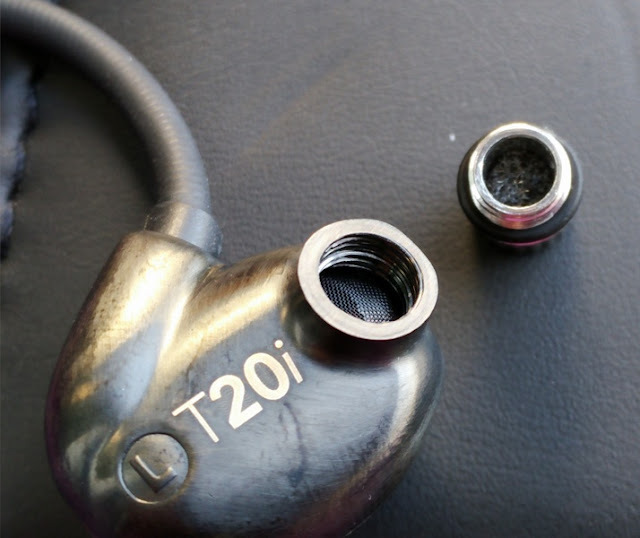 The T20i stainless steel construction is made through the process of metal injection molding, which is the same process used for making firearms and cars. 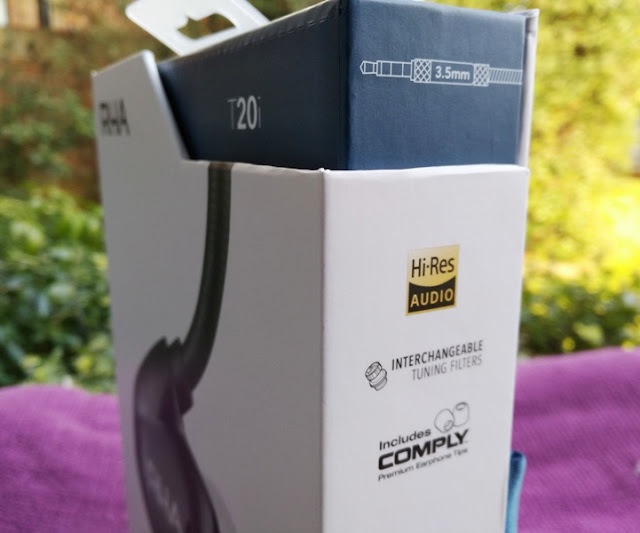 Cannot think of any other pair of headphones made this way, which makes the T20i headphones a very special pair of headphones indeed. 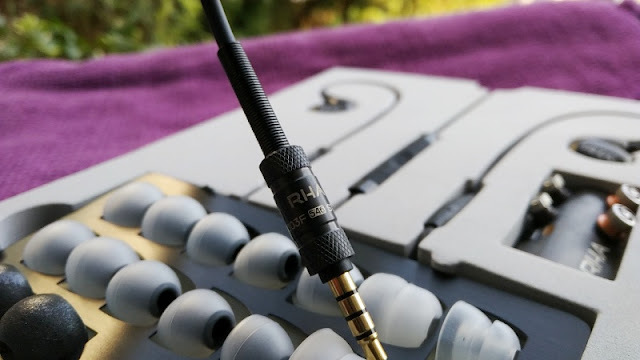 Metal injection molding in a nutshell means a feedstock mold of the T20i headphones would have been made first, using finely-powdered stainless steel metal; then shaped and hardened using metal injection molding (MIM) similar to plastic injection molding. 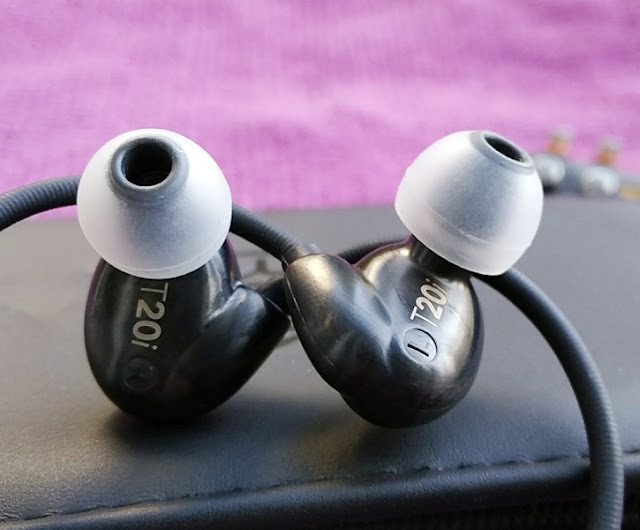 The sleak black finish on the T20i body also integrates a plasma thermal coating that prevents scratches and discoloration which should keep the headphones looking brand new for very long. 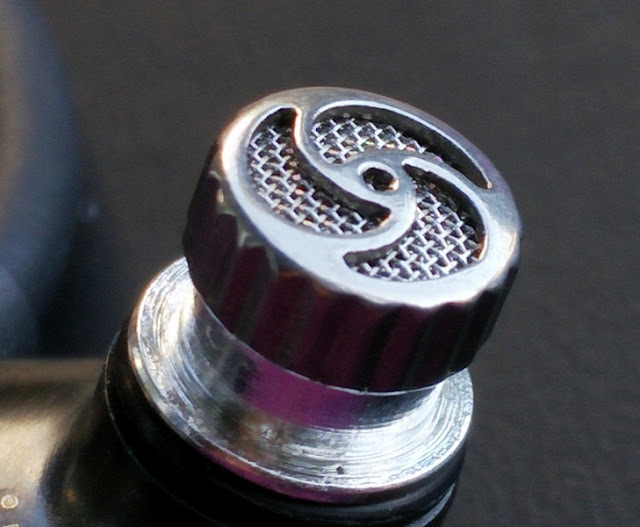 The T20i screw-in nozzle tips are also made of machined stainless steel and can be interchanged with different sets of nozzle tuning filters and ear tips to tune the frequency response of the sound. 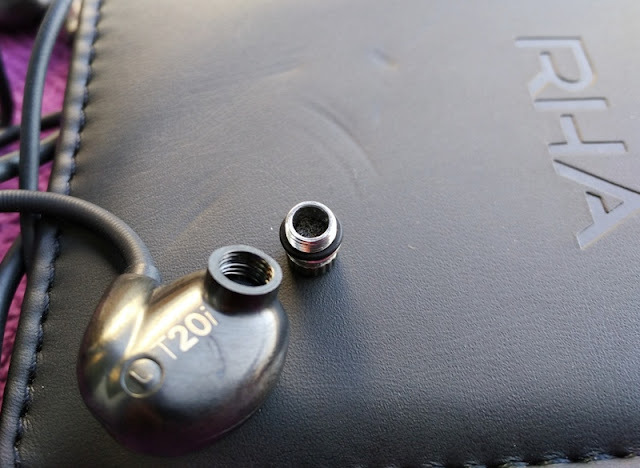 It's pretty neat to come across such a unique pair of in-ear headphones like the T20i with such unique features like the mentioned tuning filters which you can manually screw-in yourself. 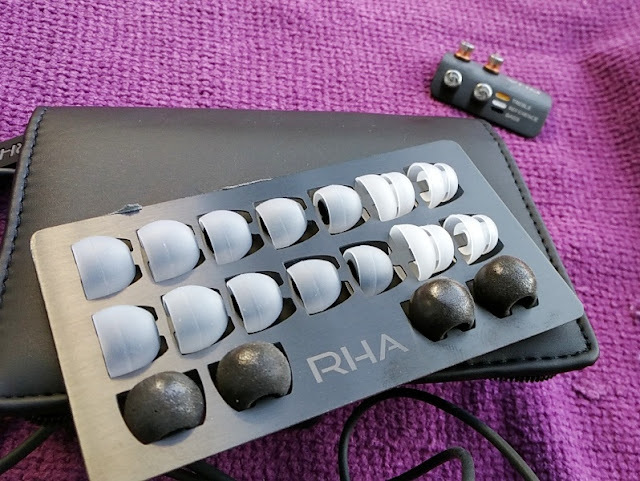 Rather than having electronics do it for you, the RHA tuning filters let you adjust manually the frequency of sound the analogue way by physically changing vibration patterns. 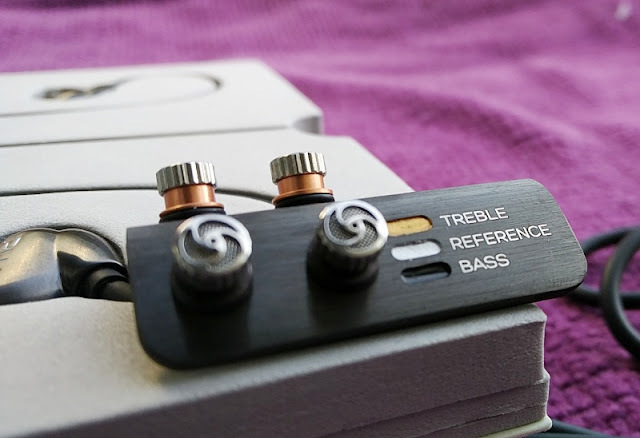 The tuning filters include bass, treble and reference which provides a flat frequency response without emphasizing high ends (treble) or low ends (bass). 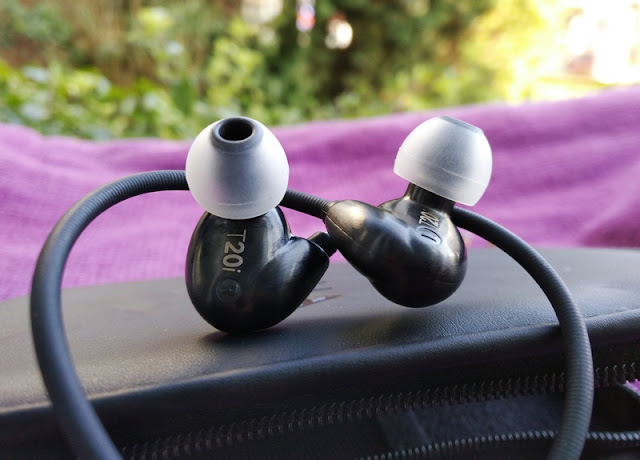 Along with metal injection molding, the T20i in-ear headphones feature fully moldable over-ear hooks that are connected to the actual cable, meaning the cable runs behind the ears and down the side of your neck. 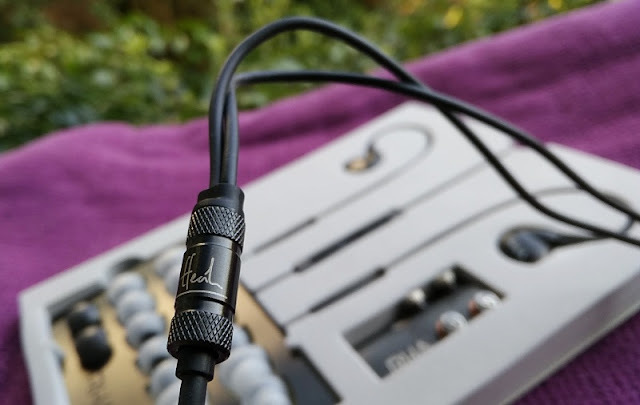 Talking about the T20i anti-tangle cable, it is 137 cm long and ends in a 3.5mm gold plated male connector jack. The internal wiring is made of oxygen-free copper (OFC) which means the oxygen has been virtually removed from the copper wiring. 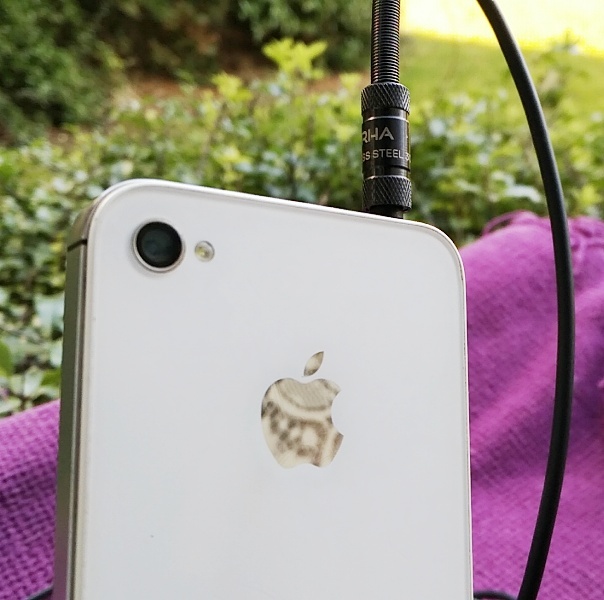 Oxygen-free copper is great because it means you won't have to worry about the audio quality diminishing over time due to the wiring corroding (oxidizing) internally. 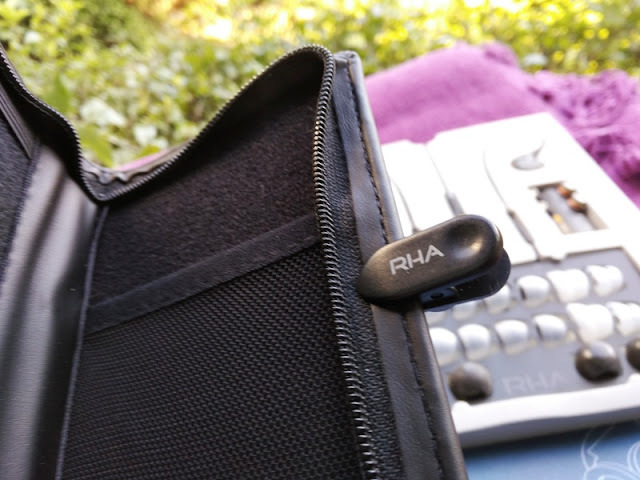 The 3-button in-line rubberized remote on the T20i stainless steel earphones integrates a microphone. 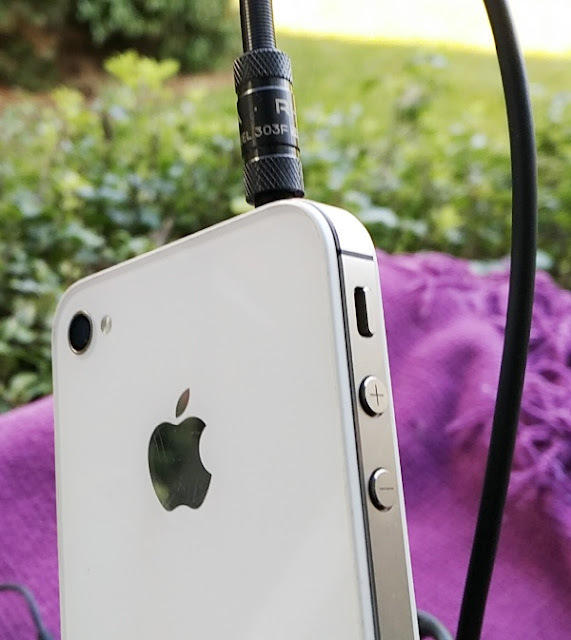 Both the remote and the mic are made for Apple so they work with iPhone, iPad and iPad. 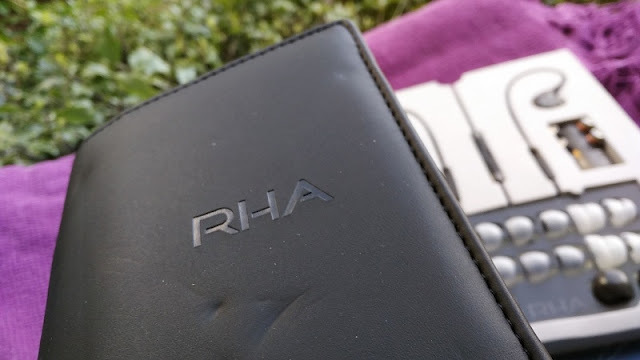 From the remote you can control calls, songs, volume as well as voice assistant like Siri or Google Assistant. 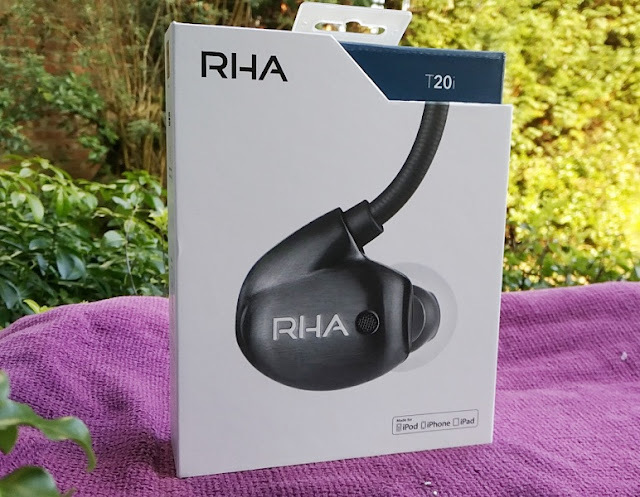 The RHA T20i are aimed at audiophiles but if you are a hi-fi enthusiast who loves music to listen to your equipment you will appreciate owning a pair of RHA's T20i. 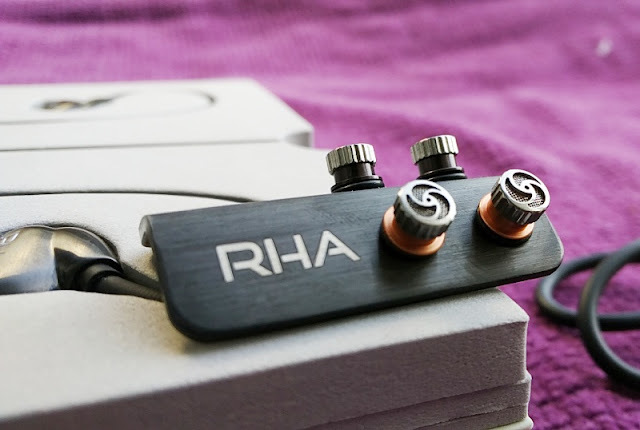 The T20i are a different and unique way of experiencing high-resolution audio, delivering music to your ears in its purest form. 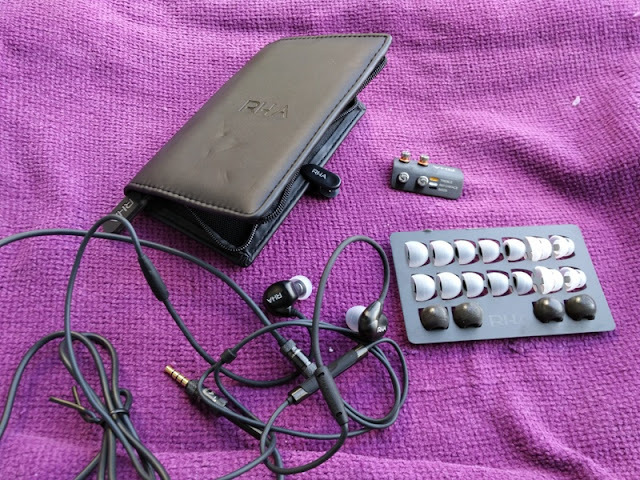 Inside the box, you get a pair of T20i earphones and 18 pairs of ear tips ranging from cylindrical silicone tips, double flange ear tips and foam tips. 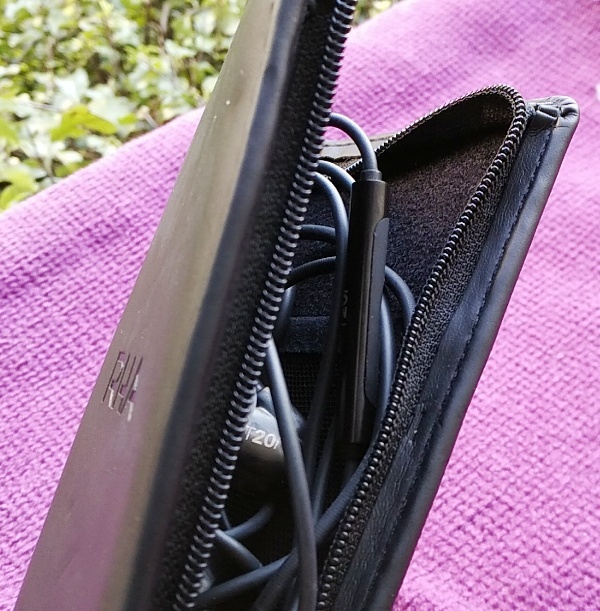 Included is also a snazzy soft-touch RHA-branded zippered wallet to carry the T20i earphones with you on the go.